Letting your dog out to do their business is a big part of dog ownership. They rely on you to open up the back door and let them relieve themselves. But what if you can't always be there to do it? an electronic dog door may be the solution you're looking for. These devices can be installed on your existing door. They give your pooch all the freedom they need to go out when they want to. Your canine companion can gain independence and won't have to rely on you so much do the things that come naturally to them. If you're worried about security, these doors have you covered. High-quality dog doors contain advanced technology. They can recognize when your dog is near and unlock automatically. There are a number of great doors on the market. Here are some of the best. This door from High Tech Pet is one of the most secure options around. It's completely sealed to keep the elements out. The airtight door is made of a bulletproof resin. The metal frame is very durable and adds to the protection that the door offers. Not only that, but it houses the door safely out of sight. The resin material moves vertically to give your dog more room. The small collar key is battery operated and communicates with the frame via ultrasonic technology. The door is powered by an AC adapter. Alternatively, you can get the optional backup battery. Detailed controls can be found on the top of the door housing. It allows you to change the range from inside and outside the door. There are also four different modes available to suit your needs. One of the most unique features of this door is the automatic deadbolt. The additional lock prevents intruders from sliding the door open. Rhis product can be installed directly on your door or through a wall. It can be powered by an AC power adapter or with a direct hard-wire connection. Electronic magnets are used for the locking mechanism. The included key attaches to the collar. It's quite small and discrete. It's a simple magnet that doesn't require any power. When your dog approaches the door, the magnet will trigger the electromagnetic field and open the door. Like the previous option, this door is motorized and moves vertically within the frame. When the door is not being used, it's locked automatically for protection. The door is available in a range of sizes up to 36 inches tall. 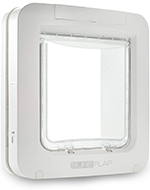 While it may look simple in design, this door from SureFlap is packed with some advanced technology. It's compatible with virtually all microchip formats. Instead of having to rely on a powered collar, the door will read your dog's microchip to provide access. If your dog doesn't have a chip already implanted, the door does come with an RFID tag. The door measures seven inches high by about six and a half inches wide. The clear door has a flapping design. As a result, the door's footprint is very small. It doesn't take up much space and it only requires four C-cell batteries. If style is a priority, the door has a very modern look that blends in well with any decor. From PetSafe is this plastic electronic door. It also has a clear flap that lets your dog see the outdoors without any obstruction. 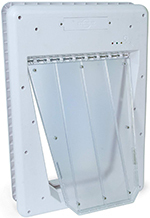 The door flap has a weather-resistant seal and LED indicator lights. RFID technology is used to unlock the door. Two tags are included. However, each door can be programmed for up to five different tags. The key tags are very small. They're completely waterproof for added durability and can be looped around your pup's existing collar keyring. The door itself is powered by four C-cell batteries. Discreet controls are located on the top of the frame. They let you adjust the RFID sensor's sensitivity. The PlexiDor electronic dog door utilizes RFID technology. It comes with a small key tag that can be snapped on your dog's collar. The tag is waterproof and weighs less than half an ounce, so you can rest assured that your dog will have no problem wearing it. The door slides up into a secure housing. You can program the unit to stay open for a certain amount of time after your dog approaches. If your dog or a small child obstructs the door, it will stay open to prevent injuries. The frame can be plugged into a standard home outlet for convenience. * This particular model is designed to be installed in a door. However, the PlexiDor is available in a wall mount version as well. Electronic dog doors are a great investment that can benefit both you and your dog. They're relatively easy to install. Some models are also temporary, so apartment dwellers can take the door with them whenever they move. While they may seem like a simple change, the benefits they provide can make a huge difference in your pup's behavior. One of the biggest advantages of an electronic door is that they give your dog the freedom to come and go as they please. 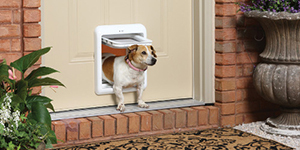 If your dog frequently has accidents in your home, you may be able to stop the behavior with a dog door. Instead of having to hold it in, they can step outside and do their business whenever they want to. Electronic doors can do wonders during the training phase. While you will have to teach your pup how to use the door, most dogs will get the hang of it in no time. Without the added hurdle of having to wait for you to open the door, the transition to using the bathroom outside will be much easier. Dogs that are left alone for prolonged periods of time are notorious for developing behavior problems. The stress and anxiety of not having you around can make dogs go crazy. They may start to chew up your furniture, go through your trash, or have accidents around the house. One of the best ways to prevent boredom is to keep them mentally stimulated. With an electronic dog door, you can provide your pup with all the fun they could ever want. They'll be able to get out and have fun on their own time. Instead of running around the house to get rid of pent-up energy, they can explore your backyard to pass the time. Not only that, but they'll have an easier time getting the exercise they need. Dogs love to run around and require regular exercise to stay healthy. Usually, most owners have to dedicate time to take their dogs on walks for exercise. With a dog door, they can do it all themselves. Let's face it, sometimes you just don't want to get up to let your pup out. Whether they're barking in the early hours of the morning to get out or you're simply too tired to move after a long day of work, there are many times when it can be inconvenient to open up the door. If you have an injury or physical limitations, something as simple as opening the door for your dog can be a painful endeavor. An electronic door eliminates that inconvenience. Your dog doesn't need to depend on you. You can sit back while your pooch does what he or she needs to do. Traditional dog doors have been around for many decades. They're very simple in design. While they certainly get the job done and have served their purpose, traditional doors have some serious disadvantages. The biggest is that they lack proper security. Other dogs can easily enter your home. If the door is big enough, some humans may be able to squeak through as well. Automatic electric models are sophisticated in design. They keep your home secure while providing your pup with the access they need. They can keep the elements out of your home and keep it protected from intruders. There are a few types of electronic dog doors available. While they operate similarly, they may use different types of technology to provide and restrict access. All automatic doors are designed to be secure when they're not used. Most of the time, the door will remain closed and locked. Only when your dog approaches the door will it open up. The locking mechanism is what separates different products. Ultrasonic dog doors use sound waves. The collar key emits a high-frequency wave that can't be heard. The sensors on the door frame will detect when the sound is near and open up accordingly. Usually, these doors offer the most versatility. They often have adjustable settings that let you modify the sensor's range. This is great if you want the door to remain locked until your pup is right next to the opening. Magnetic locks are some of the simplest and most affordable options out there. They utilize strong magnets to unlock. Depending on the particular model, these doors may have a magnet on the door flap itself and a magnet that needs to be attached to your dog's collar. When your dog gets near the door, the magnet on their collar will pull the lock on the door to provide access. Alternatively, modern magnetic locks use electricity. These are a bit more reliable because the magnets are used to interact with sensors. When your dog approaches the door, the magnet on their collar will trigger an electronic magnet lock on the door. RFID, or radio-frequency identification, is a type of technology that's used on secure doors around the world. Information is stored on a small RFID tag that can be attached to your dog's collar. The door contains a high-tech sensor that's capable of reading that information. One of the best things about RFID locks is that they don't provide access to just any dog. They limit access to specific tags. This type of lock is perfect if you have multiple dogs or live in a busy neighborhood. You can program these doors to open up with your dog's unique tag. If a pup down the street has an RFID tag of their own, they still won't be able to come into your home. These types of locks work very similarly to RFID locks. The difference, however, is that the collar tag doesn't contain any specific identification. It simply emits an inaudible radio frequency. Most models have a limited range. They'll open up whenever your dog gets near the door. Once the radio frequency is out of range, it'll lock back up automatically. These systems do have their disadvantages. One of the biggest is that other dogs with a similar tag will be able to gain access. Another is that you'll have to match the radiofrequency range to your home. If the sensors on the door can read the collar from far away, your door may end up being unlocked more than it is secured. If you want a secure option that doesn't require a dedicated key, microchip locks may be for you. These doors have sensors that are capable of reading implanted identification chips in your dog. They're usually compatible with the chip your pup already has, so there's no need to get another one. You can program the door to fit you and your dog's needs. Not all electronic dog doors are made the same. Before you jump ship and buy the first product you see, there are a few things you need to consider. As mentioned earlier, there is a number of different doors available. It's important that you choose a locking mechanism that's right for your home and your dog. Some doors may be easier for your dog to use than other. Also, if you have a family of canines, you may want to invest in a system that utilizes identification tags. Another thing you'll want to think about is how the door will be used? Do you want to limit your dog's outdoor access to certain times of the day or do you want to give them free rein? Many automatic electronic doors have adjustable settings that let you customize how the door operates. Some sensors are stronger than others. You'll want to take this into account when you're planning your install. If you have a relatively small home, you need to find a door that has a shorter range. Depending on your dog's behavior, you may also want to find an option that has directional sensing. If your dog hangs out by the door on a regular basis, they may constantly trigger the electronic sensor. Not only will this drain the batteries, but it'll make your home less secure. Directional sensors require your dog to approach the door like they're about to go outside. The key mechanism is going to be something that your dog wears every day. It's recommended that you get a key that's comfortable. Some systems, such as those with magnetic locks, have bulky tags that could be uncomfortable for smaller pups. Pay attention to the size of the key and how its attached. The most convenient options act just like an identification tag and can be attached with a key ring. 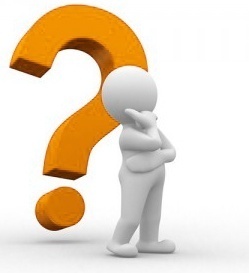 The key's durability is another important consideration. Dogs are messy creatures by nature. The key needs to hold up against constant wear and tear. It should also be waterproof to ensure that fun splashes outside don't break your investment. One thing that many owners overlook is the door's energy efficiency. All doors, whether they're made for humans or dogs, will affect your energy costs. The temperature-controlled air from inside your home will escape each time your dog goes out. As a result, you may see your electric bill rise. A sealed door can minimize the effects. Look out for doors that are sealed around the perimeter. Some doors are made out of a smooth rubber material. It's often tinted to minimize the heat exchange from the sun. Rubber doors create a tight seal around the frame. In addition to checking a door's seal and flap material, you should make note of the material used on the frame. Electronic doors are available with frames made of plastic and metal. Plastic doors are usually fine for well-tempered dogs or smaller breeds. However, larger dogs can easily chew through the material. In that case, you would want to go with a metal frame. How the door is installed can have a big effect on the final look of the door, how much work it'll take to set it up, and the overall cost. Electronic doors can be installed on doors or through a wall. Door installations are typically easier to complete and cost much less. They do require you to make an opening the door material. However, this can usually be done with a few simple power tools. Wall installations, on the other hand, require much more work. If you have a concrete home, you'll have to break through the material. Not only that, but you may have insulation and wiring to deal with. Even once you make it through to the outside, you'll likely have to install an additional tunnel. The tunnel keeps the insides of your wall protected and prevent your pup from getting injured while they make their way outside. Temporary doors are also an option. These products are built for sliding glass doors. Installation is easy and doesn't require any permanent changes. However, they're typically not as secure as the other options. Usually, they don't look as great either. Most automatic doggy doors require power to operate efficiently. Some collar keys also require batteries. This could ultimately affect the overall size of the device. It's a good idea to take the ongoing battery costs into account before you make a decision. If a door requires power from an outlet, it could also limit your placement. A dog door is only effective if your dog can fit through it! Luckily, doors come in a range of sizes. To measure your pup, have them stand up on all four legs and measure their height from the floor to the highest part of their back. Typically, this is around their shoulders. When you have the measurement, add two inches so that have a bit of wiggle room. You also need to measure their width. To do this, measure the distance from one side of their body to the other. You should do this at the broadest part of their chest. Again, add two inches. If you have a puppy, it's a recommended that you base your purchasing decision on the size of full-grown adults of the same breed. The last thing you want to do is replace a dog door multiple times throughout your dog's life. If your pooch is prone to weight gain, you'll need to take this into consideration as well. With these considerations in mind, you can choose a high-quality automatic electronic dog door and give your dog the freedom they deserve. These devices can make your life much easier while giving your dog the opportunity to go outside whenever they please.